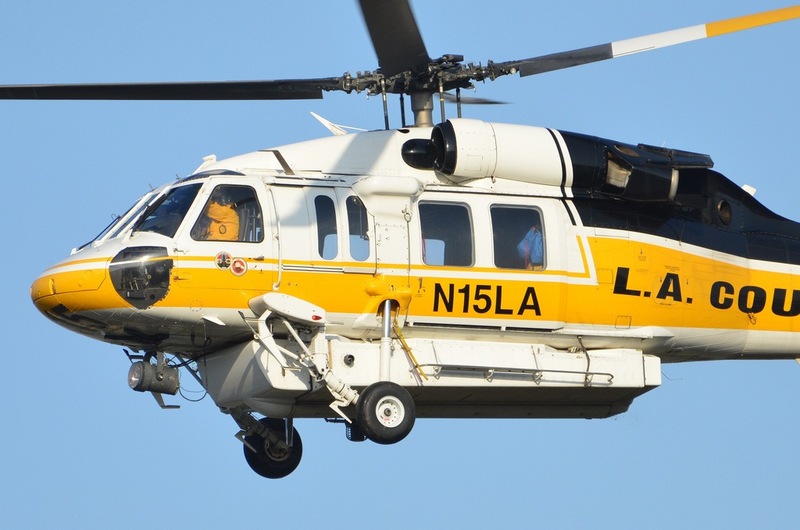 LOS ANGELES COUNTY – A motion by Supervisor Kathryn Barger directs county agencies to reassess the Fire Department’s Air Operations program to determine if the County has adequate year-round aerial firefighting resources. Last weekend, dry brush, the effects of drought, sustained warm temperatures, low humidity and Santa Ana wind conditions fueled the Woolsey, Camp and Hill fires. Many fire behavior experts agree these conditions have created more extreme fire behavior than in years past. Los Angeles County Fire Chief Daryl L. Osby recently explained that “in California, fire season is now year round. We are in a new normal.” A Cal-Fire spokesman explained fires that used to take a few days to burn from point “A” to point “B” now go that same distance in just a few hours. Further, when several fast-moving fires burn through various regions in California, the mutual aid system may be challenged to meet the demand, especially for critically needed air resources. While California has always suffered the threat of wildland fire, this new normal now requires a renewed analysis of what is needed to battle these types of fires more effectively. The Board will take up Supervisor Barger’s motion next Tuesday.